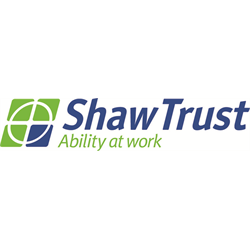 Shaw Trust is a national charity, committed to supporting those with barriers related to disability, health and those in disadvantaged circumstances to find employment, independence and greater inclusion in society. Shaw Trust is a progressive charity on an exciting journey to increase our reach and impact to help people across the UK. For over 30 years we have supported people to make positive changes to their lives through training and employment, and our ambitious plans need the right people to help us transform many more lives, in many more ways. In November 2014 the Disabled Living Foundation (DLF) merged with Shaw Trust so that we could scale the practical advice on assistive technology to millions more disabled and older people and their families and carers. DLF provides impartial advice, information and training on assistive technology for independent living – from toilet seats to telecare. We help people deal with the impact of becoming disabled or getting older, enabling them to maintain choice, independence and control over their lives. The DLF works as one of a range of charitable enterprises within the Shaw Trust. To further optimise our sales approach and take advantage of new markets for licences and training we will enhance our team with the recruitment of a Business Development Officer (BDO) managing relationships in Scotland. The BDO will instigate and develop partnerships with organisations that will benefit from DLF products and services, such as local authorities, housing and care providers and other charities. To stand-out you need to champion and embrace change and be willing to learn and collaborate with others. Are you a confident communicator with experience of business development? Do you thrive in an environment that encourages you to promote business solutions with a social purpose? Are you used to working at senior level in a range of external organisations? Are you organised and thorough with a customer service ethos? Do you motivate people and stay focused under pressure?